I wanted to throw a quick post up here, just to say hello and thank you as we get ready for the honeymoon. Alyssa and I will both do a longer post about our experience on the wedding day, but that will have to wait for a day or so while I collect my thoughts more. Since the wedding, we've both gone back to work for a few days before the honeymoon, and it's just dawning on me that I'm not really going to have much time to pack. We're leaving Monday for Walt Disney World and will be staying there for a few days until our cruise leaves on that Saturday. We've got our cabin assignment for the cruise, and it's all coming together. We also got a few gifts from the Disney Honeymoon Registry (which I only discovered a few weeks ago - note to anyone planning a Disney World or Disney Cruise honeymoon anytime soon: good idea to put this up EARLY!) so thank you very much to those of you who were able to do that. Alyssa very much wants to feed some stingrays. Mostly, I wanted to thank everyone for your kind wishes and thoughts over the course of this weekend. It means a lot to us, and we are working on our thank you notes and posts to make sure we properly express our gratitude. Hopefully, we'll get to it all by the honeymoon, but it's coming up so quickly I can't be certain. One of the posts coming up will feature the vendors and services we used to plan and execute the wedding, so anyone planning or thinking about one of those in the future can see what works and what doesn't. We'll also make available photos from the event as soon as we have them! Lastly, if anyone did get photos, we'd love to see them, so continue to post them on Facebook, or e-mail us directly with a link to the online gallery. Thank you all, again, and we'll check in again soon! It's been a crazy summer with new jobs, moving into a new apartment, and getting ready for the wedding but it's almost here. This past weekend my mom and I finished up the last of the decorations and I'm really excited to see it all come together. Some of these past nights have been sleepless as I try to remind myself to remember little things to do for the next 5 days. I even overslept a half hour this morning from exhaustion so I really can't wait to celebrate and relax during the wedding and honeymoon. Andrew and I have been looking over all of the honeymoon activities and he planned a freaking awesome honeymoon. We get to eat at all these fancy restaurants and dress up and the cruise even has a water slide on the ship and a pool with a swim up bar! I've been trying to get ready for the wedding in the little free time I have. These past couple weeks I've been laughed at at work as I roll up my sleeves and tan in front of the office on my lunch breaks lol. My co-workers will even sometimes catch me whitening my teeth with those strips in my mouth. I am determined to look awesome on my wedding day! I hope you all are as excited as Andrew and I are about the wedding. It's going to be a beautiful summer evening under the stars and I can't wait to share the special night with all of you and my new husband. I can't believe that in 7 days I'll be finally marrying Alyssa! It needs to get here sooner! A few weeks ago, I finished planning the honeymoon, which we'll be taking a week after the wedding, so we have some time to get everything situated before we leave. Of course, knowing us, there would just have to be a fair bit of Disney involved. We'll be flying to Florida on the evening of September 2nd, staying there for four days. In those four days, we'll be visiting all four parks, as well as dining at some fantastic restaurants, such as O'hana at Disney's Polynesian Hotel, and Le Cellier at Epcot, among others. 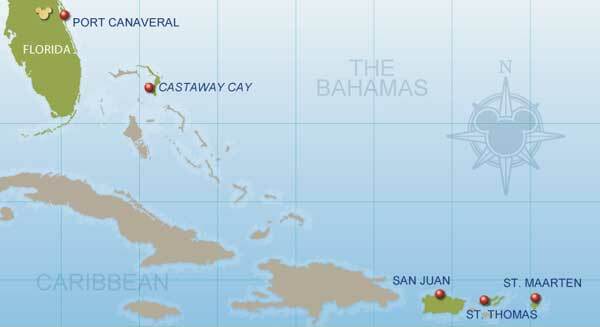 That Saturday, we embark upon an Eastern Caribbean Cruise aboard the Disney Fantasy. We'll be sailing from Cape Canaveral on September 7, on a seven-night Eastern Caribbean cruise, with stops at San Maarten, St. Thomas, and Disney's own Castaway Cay. As we've never been aboard a cruise, we're very much looking forward to the new experience together, as well as an opportunity to be pretty well disconnected from the world for seven nights. Even better, Disney actually offers a registry for honeymooners to have people send gifts of spa treatment, port adventures and the like. We're going to be taking the cameras with us, and we'll be posting quite a few videos on our Youtube channel over the course of a few weeks when we get back. I can't wait, and I can't believe it's here so soon! Alyssa will be by later to add her thoughts. Hello, everyone! Thanks for checking back on the site. If you're subscribed to our YouTube channel, SalterNet, you'll have seen this already, but we're shooting a series of "Meet the Wedding Party" videos to introduce everyone to the friends who will be accompanying us down the aisle. So far, we've completed videos for Lilly and Ryan, and we're working on Marianne. We'll be shooting Becky and Erin in the near future, and we'll have Kendall send us footage from Boston for our final installment. There are several more videos we're planning to do, so stay tuned to our YouTube channel, and this blog for more. Also, if you haven't checked our or wedding registry, just click the link above to go there! The invites came in, so we shot a quick un-boxing, since I was so excited. We got them from www.weddingpaperdivas.com, and they came in good time, and looking just like they did on the website! Alyssa and I have started a YouTube channel to help us chronicle our wedding plans, and general life journey. We're going to try to post a new video every week, and we'll make sure to post them here for those of you keeping up with us. Our first video is a simple introduction to what's to come. Be sure to click the "Subscribe" button to make sure the rest of the videos get to you! Welcome to thesalters.us. Alyssa and I will be using this site to talk about our upcoming wedding, for the most part. After the wedding, this site will be converted to our personal website chronicling the next chapters in our lives. What I mean to say is that in this age of digital connectivism (a word I just made up), we have the opportunity to catalog our lives through the magic of digital infinity. Sharing with friends, family, and others has become significantly easier as digital technologies and the internet have ingrained themselves deeply into our lives. Rather than shy away from all this as social Luddites, I've chosen to embrace it. Isn't part of the dream of "the future" the ability to communicate and connect? We remember the Bell Telephone videophone sequence from 2001: A Space Odyssey and the frightfully accurate "You WIll" advertising campaign from AT&T 20 years ago, and we remember with them came hope and a insatiable desire to be close to each other despite how far away we're flung. Indeed, I already use many technologies to connect with my far-flung siblings. Kendall and I participate in Google+ Hangouts as we record features for his fantastic site, Jockscraps.com (seriously, go there). Lauren and I talk via Apple's FaceTime technology through her iPad and my iPhone. David and I send messages back and forth on Twitter. Dad is on Facebook (Dad had us using e-mail before e-mail was even a thing. He's the reason I'm interested in tech in the first place). Even the reclusive Emma shares her artwork on Facebook. Why the long introduction? I'm not sure. Alyssa and I are starting our lives together in a great age. I imagine us showing this site to our children, one day. They'll be able to see us preparing for our wedding, enjoying our honeymoon, exploring the world, and journeying into parenthood easier than I was ever able to see for my parents. Will it be valuable? I certainly think so. We're about to launch a YouTube channel with anecdotes from our wedding preparation. Check back for more!